zone. They fluids are heated up a ~ 200°C, but they are not in close contact with the magma chamber like a black-smoker. Instead they are fueled by chemical reactions between mantle rocks and seawater. The rocks contain large amounts of olivine (a Mg-Fe silicate) which reacts with seawater at temperatures ~200°C and forms serpentine minerals (hydrous Mg-silicates) and magnetite. This process, referred to as serpentinization makes the system highly alkaline (pH 9–11). 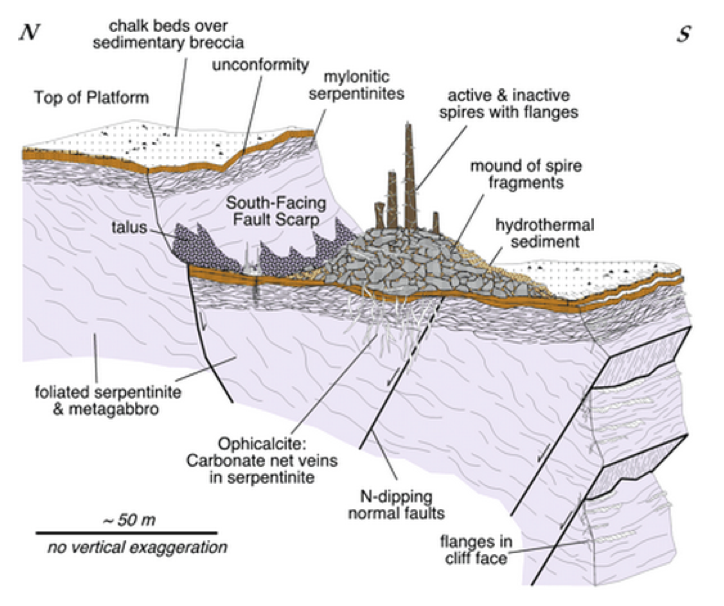 An interesting fact is that, serpentinization have been producing geological H2 for as long as there has been water on the Earth. This new system, has yet to get an experimental focus for origin of life studies, although i do think they are researchers whom are looking in this idea. Do keep an eye on this. 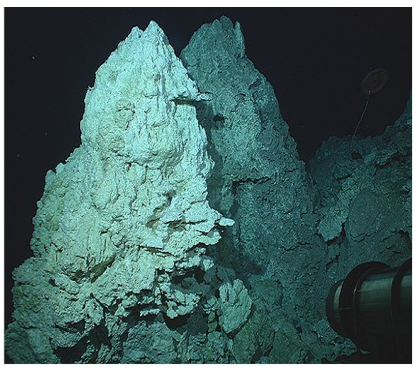 In the next post i will be reviewing some of the hydrothermal vent simulators i have used in the past for origin of life based experiments.